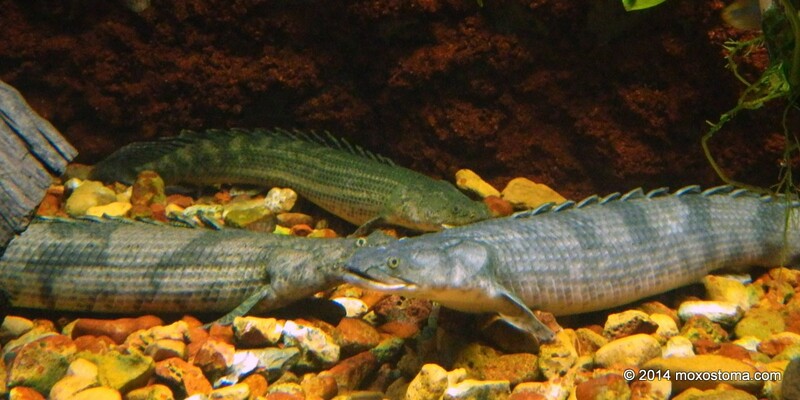 After months of hopeful but vague discussion about getting together to talk gar (and other cool fish), three of the most gar obsessed citizens of Illinois finally managed to meet at the end of February. Solomon David, Postdoctoral Research Associate at the Shedd Aquarium (and see primitivefishes.com), hosted Bill Meyer (founder of garfishing.com and the Gar Angler’s Sporting Society [GASS]) and me for a full day of fish nerding. We enjoyed a tour behind the scenes at the Shedd that allowed us to see fish the public doesn’t get to see and smell odors the public doesn’t get to smell. The humid air and fishy scent were medicine to me, given how long the world had been frozen and fishless. Thanks also to Kurt Hettiger, Senior Aquarist at the Shedd, for answering my novice questions and showing us various off-exhibit tanks and fishes. One highlight was a South American catfish the size of a large couch, with a mouth big enough to inhale a medium-sized dog. Another was Grandad, the Australian lungfish who holds the title for oldest fish in any aquarium in the world (80 to 100 years, and counting). We were there specifically to do some gar-gazing, so it was very cool to see some of the gars that were off exhibit at the time. Over lunch we got to talk suckers with Phil Willink, formerly of the Field Museum and now a Senior Research Biologist at the Shedd. Thanks to everyone at the Shedd for the hospitality and for giving use a glimpse into things far cooler than anyone looking at the exhibits would guess. The second half of our day was spent in the bowels of the Field Museum of Natural History, where we had the opportunity to examine a wide variety of specimens. 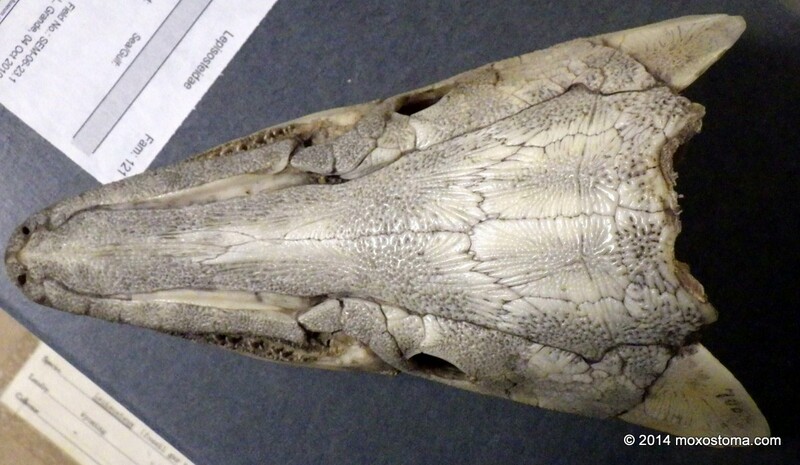 30-gallon jars of preserved gars, suckers, and bowfins; skeletal gars, paddlefish, and sawfish; a 100-year-old alligator gar mount that I’ve seen in old publications (see below); two of the 30 or so harelip sucker specimens in existence (the first fish driven to extinction in North America since Europeans arrived, Lagochila lacera/Moxostoma lacerum is the subject of a very long post—it threatens to become a small book—I’ve been writing for more than a year). It was a fish nerd’s candy store. The overwhelming terror of shattering a shelf full of giant jars and drenching myself in preservative and antique fish parts kept me from grabbing everything in sight for a closer look. Barely. Thanks to Susan Mochel and everyone else at the Field Musem for allowing us into what felt like a holy place, again more interesting (to me, anyway) than the public parts of the museum. The fact that I was less than a foot of discolored, oily liquid away from a couple of gen-u-ine coelacanths is still making me giddy a month later. This was just the first meeting. I know that dedicated freaks like us will find more excuses to get together and talk about the fishes we love. Once weather and water are conducive to fieldwork, I know we’ll be out there catching gar for science and sport, taking samples and photos, and having fun. Can’t wait. I think we’ll also work on finding more ways to educate the public—anglers and non-anglers, young and old—about the less-loved fish, such as gar, bowfin, suckers, sturgeon, etc. If anyone’s handing out jobs at the Shedd (how about Roving Photographer and Writer at Large for a job title? ), tell me where to line up. Not wanting to derail the tour, I intentionally left my good camera at home. The photos that follow were taken with my trusty Pentax waterproof point-and-shoot. I take it everywhere with me, as it can take a beating and I won’t cry for weeks if I happen lose or crush it while fishing. That said, its photos are nothing special. I’ll return with a better camera, multiple lenses, and more time in the near future. All those dead fish whisper to me at night, but I can’t quite make out what they’re saying. I have to go back. Illinois Gar Summit I, 2014: Bill Meyer, Olaf Nelson. 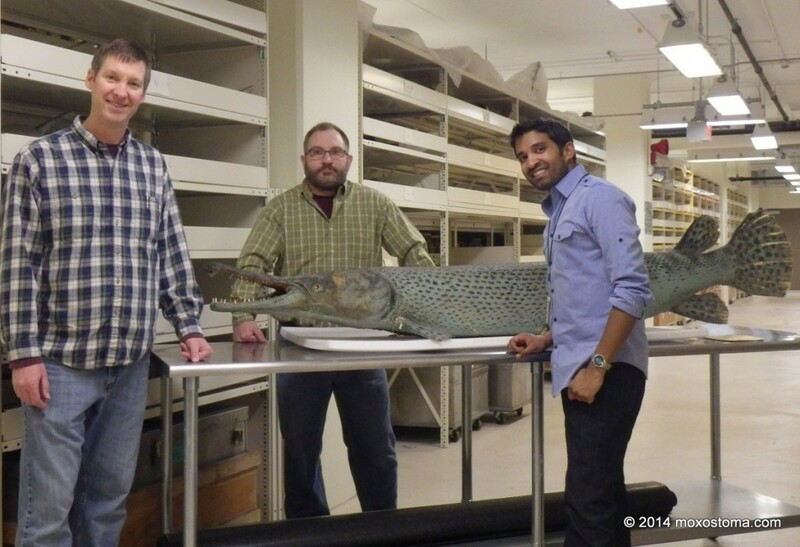 Solomon David and a cenury-old (plus) Alligator Gar in the deepest recesses of the Field Museum in Chicago. Hypnotized by the self-timer’s flashing light, I forgot to smile. 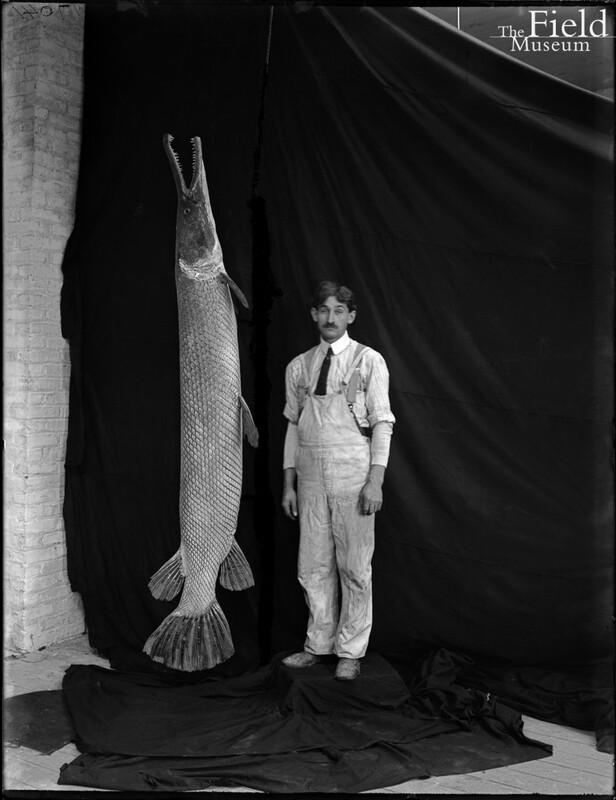 Field Museum preparator Richard Radatz, pictured in 1905 with alligator gar. If I ever get a job at the Field, I’m going to wear a tie and overalls every day. Every single day. 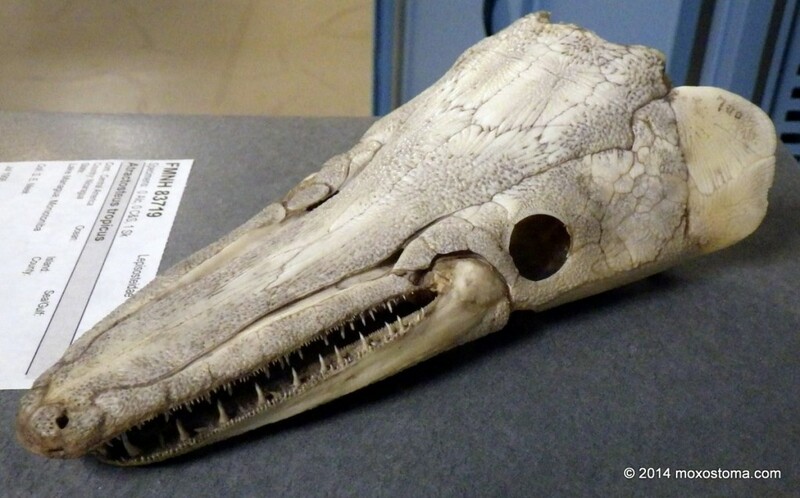 Tropical Gar skull, Field Museum. A section of skeletal Paddlefish rostrum (the paddle). Basement of Field Museum, Chicago. 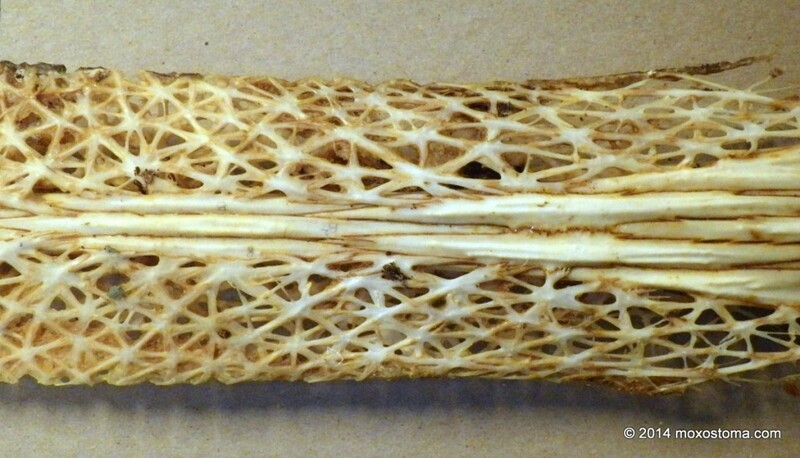 Skeletal Paddlefish rostrum, side view. Basement of the Field Museum, Chicago. Anyone unsure exactly what a paddlefish looks like, see this: http://en.wikipedia.org/wiki/American_paddlefish or do an image search. 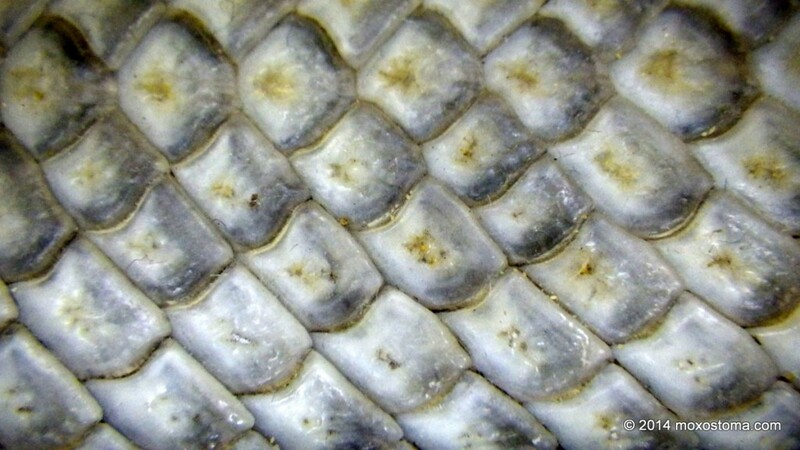 Fossil gar (Lepisosteus simplex) from Fossil Lake, WY. Field Museum, Chicago. 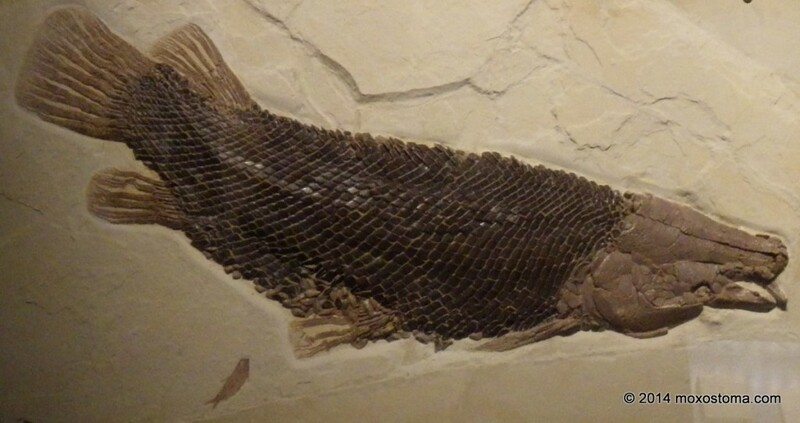 Fossil gar (Masillosteus janei) from Fossil Lake, WY. Field Museum, Chicago. Basement of Field Museum, Chicago. Each of these jars could hold 8-10 chickens, if you had 8-10 chickens in need of pickling. Bichirs (pronounced “bikers”). Shedd Aquarium, Chicago. Lamprey kisser. Shedd Aquarium, Chicago. Tucan fish. Shedd Aquarium, Chicago. Tagged alligator gar, gar, Illinois, photography, photos, suckers, tropical gar. Nice post. Although I do love fish and fishing, my first love as a naturalist/biologist will always be herps… snakes and turtles especially. 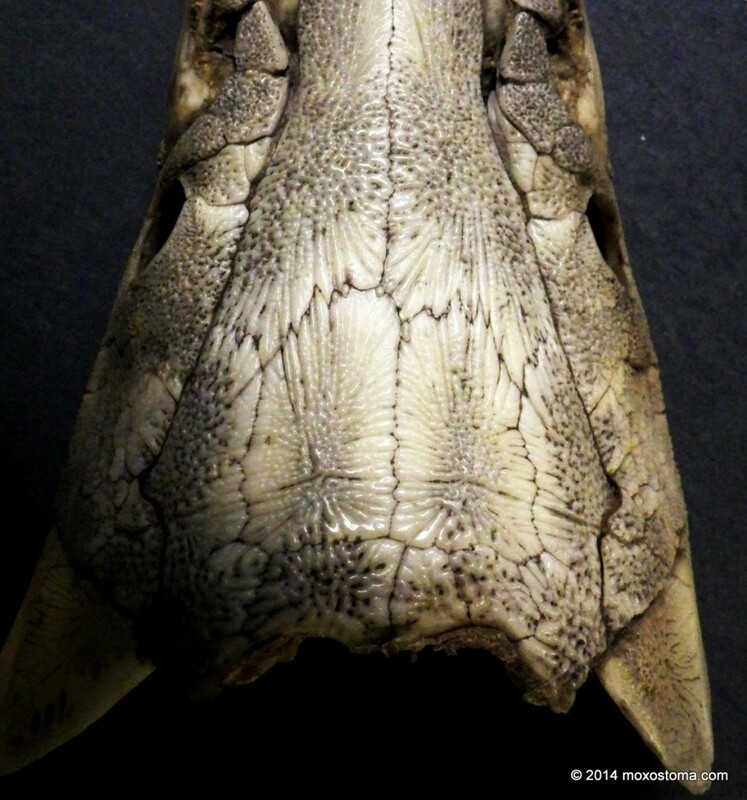 A good friend of mine was a bio grad student at the University of Michigan and they have one of the best herpetology museum collections in the country. 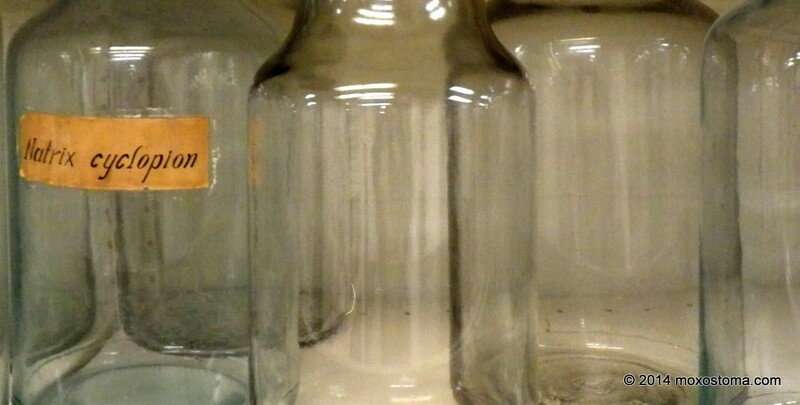 I had the chance to visit ad walk the aisles of jarred specimens and it was like being a kid in a strange candy store of death. It was amazing… so I know the feeling. The highlight was seeing the specimens of Andrias sp.- the world’s largest salamanders. They were preserved in stainless steel tanks that were almost the size of bathtubs. We took of the lids and poked around in the dark liquid until the giant amphibian sort of rose to the surface… just like a scene from a good horror film. I love this kind of stuff. I had a very similar experience. We unlatched and opened a couple of those big stainless tubs. Inside: coelacanths! There was no ghostly rising, but it was plenty surreal anyway. I hope to venture into the herp territory next time. There must be some amazing sights in that section as well. 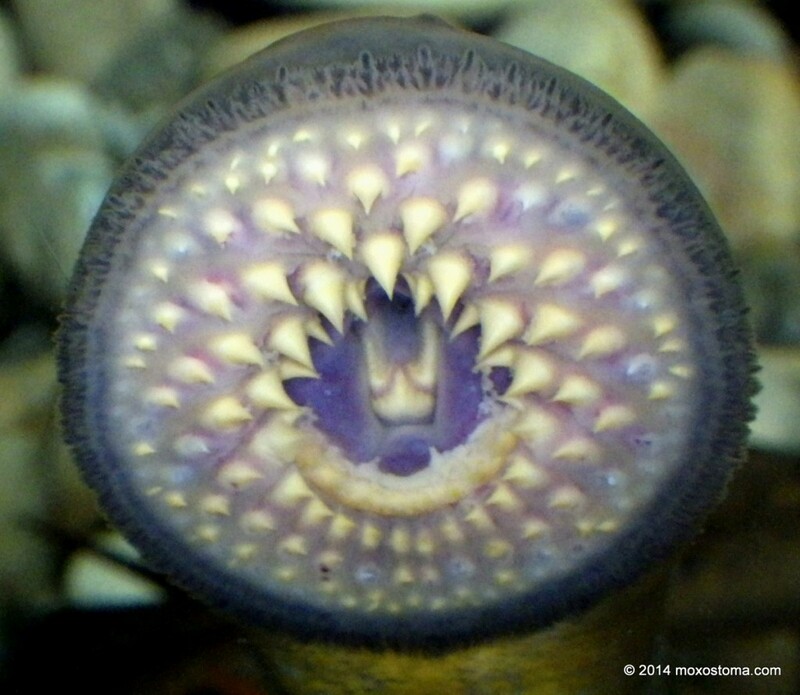 Latimeria… I am jealous. That’s a fish that any biologist should get excited about. Good to see Solomon’s work getting some attention outside of the strictly science realm. He’s one of the more knowledgeable primitive fish guys around and has some helpful gar information for me a few times.